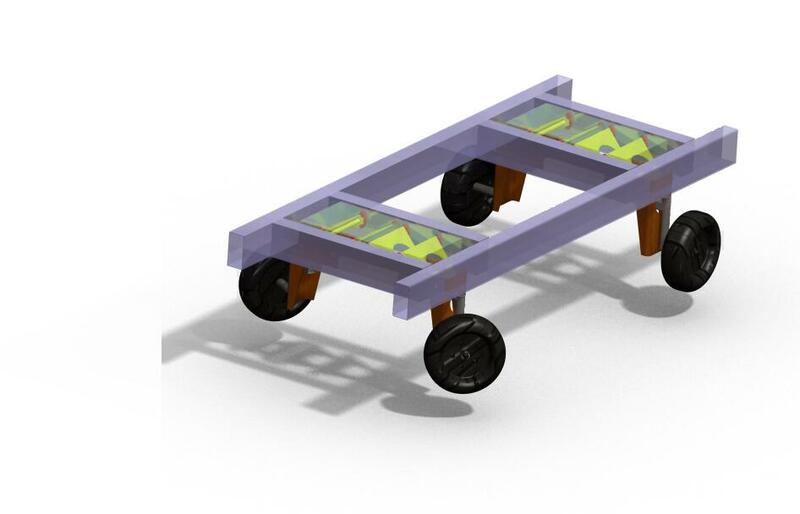 Herefordshire company Aeropick had created a unique inflatable conveyor for fruit picking and other agricultural uses. The conveyor rolls on to a drum for transport and can be rapidly unrolled and inflated in the field. Aeropick was already developing a trailer-mounted package when it approached Coupland Bell consultants for help with a new integrated vehicle. 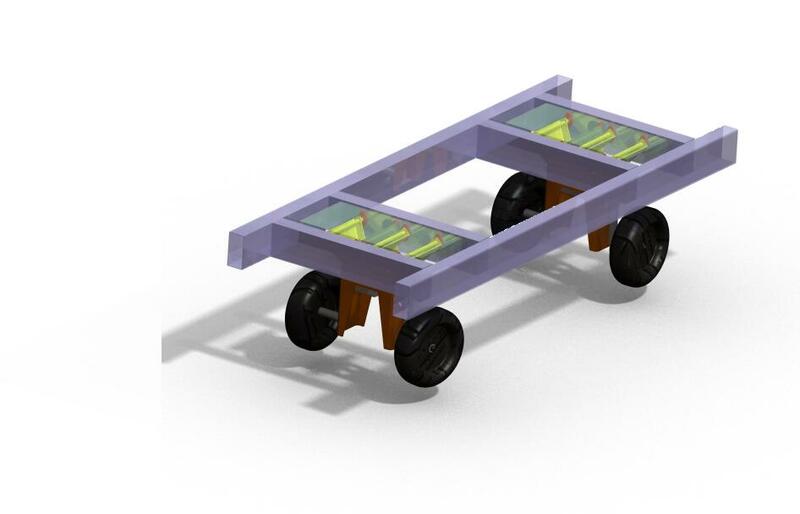 The conveyor can be used in poly tunnels, so a narrow vehicle with a tight turning-circle was needed. Rows of crops could have any spacing in fields or in the tunnels, so the wheel base needed to be variable, allowing the tyres to run between the rows. An outline mechanical design for a wheel mechanism had already been worked up and initially our consultants were asked to stress it and find suitable sections for the various steel components. The outline mechanical design used cantilever arms to support the wheels. Stress calculations showed that although this approach could be made to work, the members were not ideally placed to resist the moments. The final design would be heavy, expensive and prone to damage by rough use in the field. Canard Design in Leicestershire built a scale model using rapid prototyping. This helped Aeropick to appreciate the limitations of the initial approach. The model actually broke quite quickly, at the weak point identified by the calculations. Our consultants suggested a completely different layout, which had a number of advantages. The moments would be balanced and the system would be powered by rams, running from the vehicle’s existing hydraulic system. Light folded parts could be used, with significant cost savings, especially for a prototype. Low-cost bearings were employed, using laser cut mounting plates. 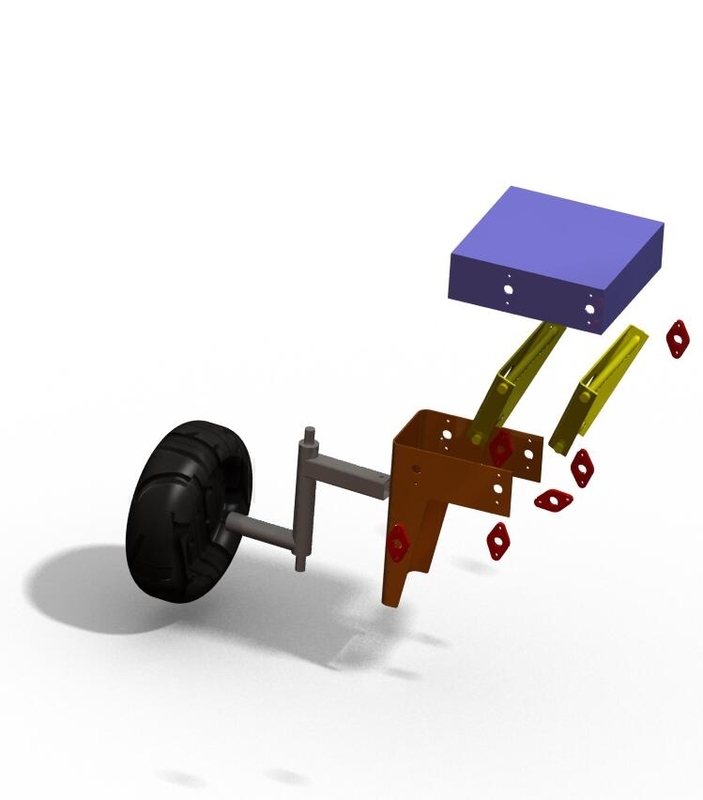 The wheelbase mechanisms were also designed for quick assembly and easy maintenance with agricultural tools. 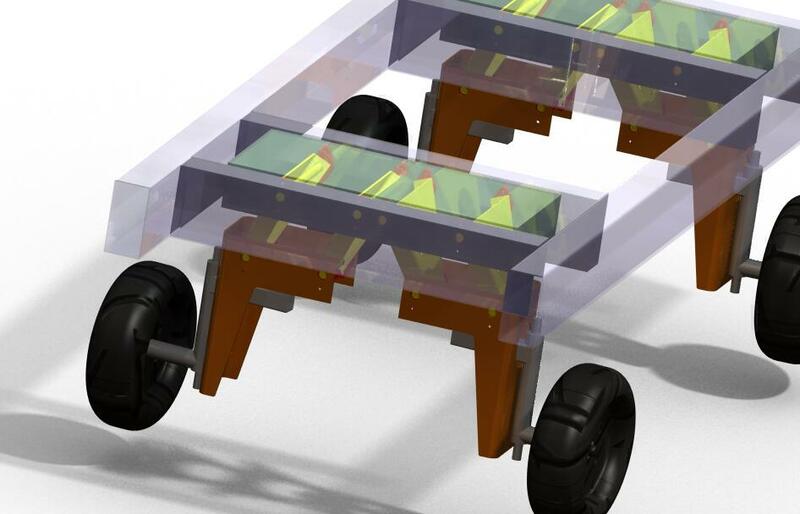 Our consultants went on to design the vehicle’s chassis, picking up the ideal mounting points for the wheel mechanisms. Folded steel was used again, to minimise the cost. A steel fabricator in Coventry folded the sections and built the prototype mechanisms, overseen by Coupland Bell. Very few design changes were necessary, because 3D CAD had been used to check the assemblies before construction. The CAD system had generated the 2D drawings for laser cutting, ensuring accuracy throughout. Aeropick extensively tested the prototype vehicle and various field trials represented typical abuse. All of the tests were successful and the variable wheelbase faultlessly negotiated different crop spacing. 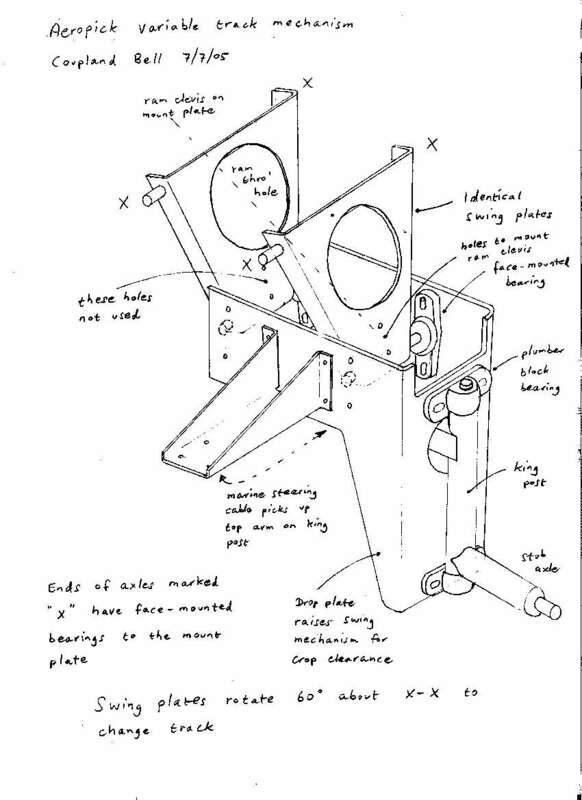 Mechanical engineering design by UK consultants Coupland Bell of a variable wheelbase vehicle.